Why did you choose the drone that you are currently using? If you decide to buy a drone today, what would be your reasons for purchasing it? Does the price have the biggest influence on your buying decision? Of course, you want to get the drone that has the best drone performance for your budget. Because of that, you decide to check out some drone types. But do you really have the sufficient market transparency to make the perfect decision? We have decided to go one-step further and gather as many specs of market-influencing drone types as possible to provide the bigger picture. With 150 drone types in our chart, you can see the capability of commercial and governmental drones today. The performance data of all the considered drones represents the state of the art of the current drone technology. To provide a fair comparison of flight performance data, it is essential to find a common thread for fixed wing and rotor driven drones. Usually, you would want to see the range over payload. However, many drone platforms are using fixed installed (camera) systems, and they would appear inferior in comparison to platforms with ad-on components. By putting range [km] over endurance [min], we want to demonstrate the performance and the different characteristics of all the examined UAV types. In this PDF-file you’ll find detailed insights into todays technological UAV capabilities on 53 pages. 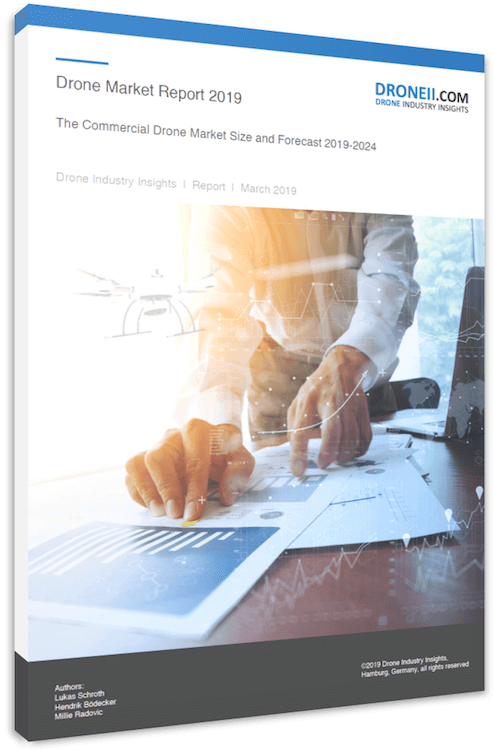 This report analyzes 150 UAV platforms in their performance, market and technological environment. Let’s have a closer look at the recreational section in the lower left corner, and you will see the high density of data points. The design and prices of the corresponding drones are very similar; therefore, both of them show that you can receive a certain technological standard (range, endurance, and payload) for a certain price. In addition, it shows the high competition and the variety of platforms in this hard-fought segment, the largest biggest segment. Typical manufacturer in this area are Blade Horizon, Walkera, DJI, Hubsan or Parrot. Moving away from that zone to the advanced and professional section, a certain dedication to one of the two characteristics – range or endurance – comes into view. You can see the two main orientations in the design. Moving towards the range, you can see a gradual reduction of payloads, and subsequently fixed wing models would replace the rotor driven drones. Long ranges as well as long endurances require efficiency, and fixed wing models are about five times more efficient than rotor driven models. Representative for this section are manufacturer like: C-Astral, Microdrones, senseFly, 3D Robotics, Delair-Tech, UAV Factoryor CATUAV. Going up towards the endurance, you will see models that represent the type of drones with little range but high payload capacities. Short-range heavy-lifter – good for surveying, inspection and mapping purposes close by the operator. Going up even further, you will see the picture changing from electrical to gasoline-powered drones. Now the big question: can there be a TOP-drone – one, which is better than any other types of drones? Mathematically, yes – if you multiply all the four criteria points (speed, payload, endurance, and range), you will find the notional TOP drone in performance (please refer to our ‘TOP10 Drone Performance Ranking per Class’). You’ll find detailed information about all the 150 considered drones in our ‘Drone Benchmark & Performance Report’. This report contains all the important industry and performance cluster, performance rankings of certified models, retail prices, market segments and much more! If you are interested in having all 150 considered drone types and their performance data, you can download the spreadsheet here.